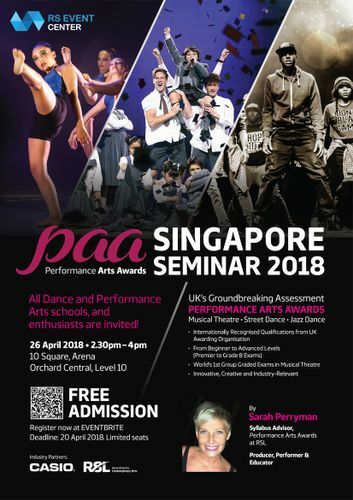 Explore the exciting new Rockschool Performance Arts Awards (PAA) with RSL’s PAA Syllabus advisor and seasoned performer and Performing Arts educator Sarah Perryman. - This session is the ideal platform to introduce Instructors, Educators and Interested Students to this new and dynamic syllabus, and as a means of expanding their portfolio in Performing Arts Qualifications. This event is organised by RS Event Center. 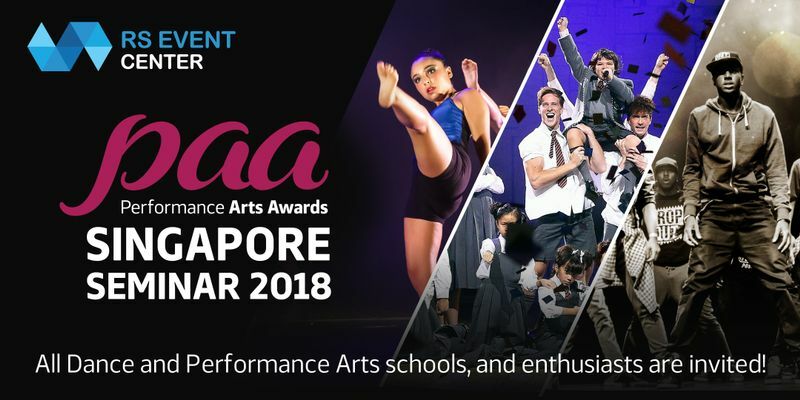 RSL’s Performance Arts Awards (PAA) are fully accredited group graded examinations in musical theatre, jazz dance and street dance ranging from absolute beginner (Premiere) to advanced (Grade 8) specifically designed by industry specialists to measure, assess and reward progress whilst encouraging innovation and creativity. PAA is the Performance Arts qualifications arm of UK's Rockschool Ltd (RSL), the world's leading provider of contemporary arts qualifications since 1991, including the Rockschool Graded Music Exams, Popular Music Theory Exams, and the world's first graded Music Production examinations. Following a degree in Music, Sarah Perryman trained at Mountview Academy of Theatre Arts where she completed a Masters in Musical Theatre Performance. She worked as a professional performer and producer in theatre, music, television and radio for more than 10 years and founded vintage vocal trio, “The Siren Sisters” (www.thesirensisters.co.uk). Sarah also has extensive performing arts teaching experience and has now worked in the arts qualifications field for more than three years.